Many Christian parents struggle with the idea of Santa Claus at Christmas. How can we reconcile this magical and fictional person and his flying reindeer when we are trying to teach our children to love and follow Christ. This is actually a conversation that I have had with many parents and even teenagers over the years. When I was a youth and families lay minister in college I would actually have Bible studies on this very topic. Here are some of the main questions and concerns I have heard over the years and my responses to them. Won't our children be upset that we lied to them about Santa? Will I lose integrity with my children when they realize I lied to them? Every child is different. Some children will not be bothered by learning that Santa is not who they thought he was. Some children will be very hurt to learn that someone they looked up to and believed in is not who they thought they were. They won't be able to be unset with Santa, after all Santa is not the one who lied to them, they will be up set with you. I think this is why it is very important how you teach Santa to your children. The modern day image and story of Santa has become very fictionalized and was rooted in the American capitalist market. If you teach the commercialized and fictionalized idea of Santa then maybe your child will have real reason to doubt your integrity about important concepts and ideas. If the Santa in your house is a man completely unconnected to God, to Jesus, and to the teaching of the church and the Bible; than yes- maybe you and the faith you are teaching will become suspect in your children's eyes. The modern day image of Santa may have some echoes of truth but when closely examined the tenants of who Santa is does not stand up very well. If you teach that Santa Claus is another name for St. Nicholas a man who loved God, believed in Jesus, loved children, and answered God's call to provide joy and gifts to children; then maybe not. I will discuss this in more detail a little latter below. Maybe it is important to understand where the modern day Santa comes from. 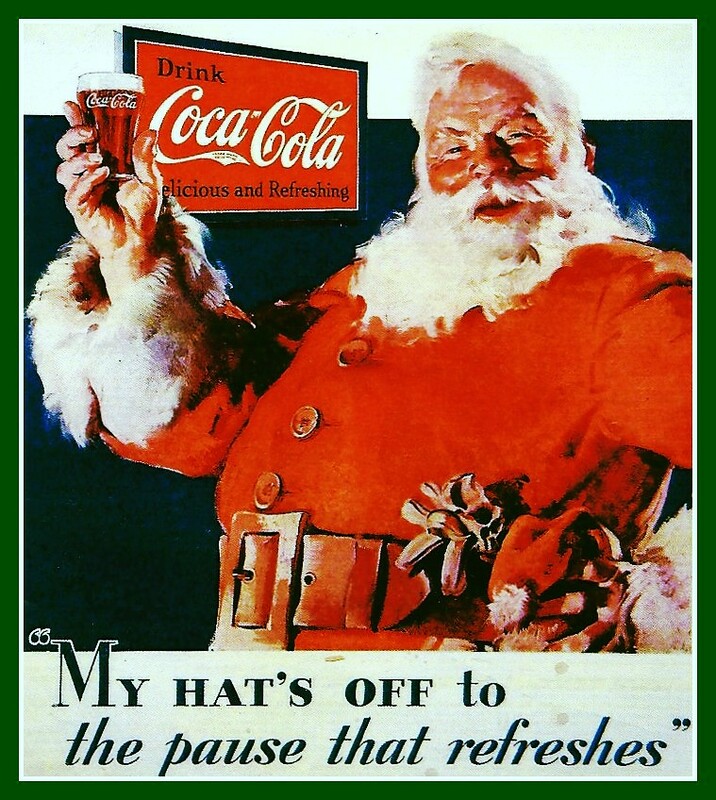 There are two main sources which created the image and story we know and see today: Clement Moore's poem "A Visit From St. Nickolas" (which is better known as "T'Was Night Before Christmas") and The Coca-Cola Company. The image we see of Santa Claus at the Christmas season is largely a construct of a capitalist market. Santa wears a red and white suit because those were and are the companies colors of Coca-Cola Company. This image appeared around 1931. Our modern day image of Santa was created to sell more products for the company. It was an ingenious marketing plan that served them very well. The artist who created the image of Santa for the company was inspired by the poem "A Visit from St. Nicholas" description of St. Nicholas. The poem "A Visit From St. Nickolas" was written by Clement Clarke Moore in 1822. Today we refer to this poem as "T'was the Night Before Christmas" and we often consider it to be a children's book. Moore was a professor of Oriental and Greek literature at Columbia University. There are some arguments that Moore may not have intended for his poem to become the inspiration for image of the modern day Santa Claus. There are also arguments that he did not actually author the poem. In the following video from the History Channel they give some references to the places Moore may have gotten some of his ideas about St. Nicholas for the poem. However, Moore echos the ideas of the real man St. Nicholas and not of a completely fictional character. My opinion is that you can't actually escape the popular image of Santa Claus. If you don't talk about Santa at all then the only idea of Santa your child will have is what the secular world teaches them. If you preemptively approach Santa as being Saint Nicholas you get the first say on who Santa is and what his role in Christmas will be. You get to lay the foundation rather than the outside world. 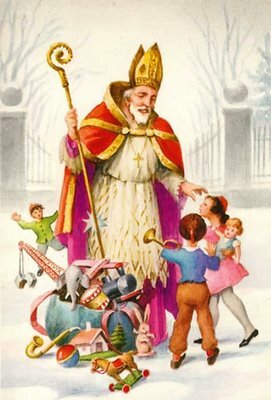 St. Nicholas was a real person who is recognized by the church and there is much historical information about him available. You are not lying to your kids if you teach Santa as St. Nicholas. I am not Catholic how can I teach my children about Saints? First it is important to understand who is a saint and how do they achieve sainthood. The Roman Catholic Church views saints to be very holy men or women who believed in Jesus Christ, followed the Gospel and demonstrated extraordinary faith. Saints were regular men and women who were called by God to fulfill a purpose or calling and did in fact fulfill God's requests. There is a long and detailed process in which a saint goes through to become a saint. In the Roman Catholic denomination believers are encourage to pray to patron saints for intercessions. I personally do not pray to saints for intercession but I do think that saints are excellent examples of what it means to be a Christian. They were real people, ordinary people, who did amazing things in order to glorify and honor God. In a world where it is hard to find examples of believers who live the Gospel; saints provide a wonderful opportunity for us to teach that living out your calling from God is possible. 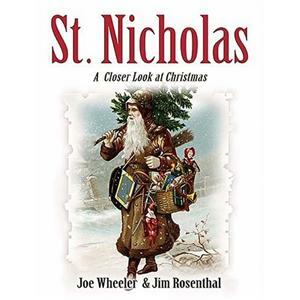 Saint Nicholas was a man who lived in the 4th Century. He was known in his lifetime to be a great gift giver and a man who gave all he had to help the poor and the needy. He is remembered mostly for his gift giving which was traditionally celebrated on his feast day of December 6th. He is known as the patron saint of children, as well as, sailors and bankers. The stories that closely link him to our modern version of Santa Claus were not recorded until after his death. Since St. Nicholas was known for his gift giving someone could argue that giving gifts at Christmas are simply because of him. However, there are many reasons to associate gift giving with Christmas. When the baby Jesus was born he was brought many gifts and his birth was a gift to humanity. When we give gifts to each other at Christmas we are remembering the scriptures in many different ways and we are fulfilling the calling to give freely to one another. I personally do not know very many Christians who give every penny they have so that others in need will not suffer. St. Nicholas however was such a man and he happens to be everywhere at Christmas time already. Can teaching the idea of Santa be harmful to my child's belief in Jesus Christ latter on in life? This is a very valid concern. For me, part of this concern is how you are teaching Santa to your children. If you are teaching the secular idea of Santa than yes this could be damaging . If the secular idea of Santa is the foundation for belief during the Advent season it is based on fiction. If you teach that Santa is another name for St. Nicholas, and that St. Nicholas believed in and loved Jesus Christ, we are basing their belief on Christian ideals which are substantiated by historical and Biblical evidence. While it is all well and good for me to make these statements maybe you should read what some experts have to say on the subject. I believe these articles support the claim that teaching the secular version of Santa Claus can be damaging to your child in the long run. Most of these articles do not however look at Santa as St. Nicholas or present a believers perspective. Jesus Believes in Santa at Examiner.com- explores the idea that we should teach that Santa believed in Jesus and offers some ideas on how to do this. Santa Claus: Innocent Fantasy or Harmful Lie at Psychology World- supports the claim that lying can indeed be harmful to some children but offers suggestions on how to keep Santa pretend and not emphasize that he is real. If we are believers we are called to pass our faith on to our children. We are called to give them a foundation for belief. This means that we have a responsibility to think about how and what we teach our children. I personally believe that some things we must choose to lay a foundation for before we allow the outside world to influence them. We still watch fun Christmas movies on TV and we still pretend that reindeer can fly. These are some of the fun trappings of Christmas. However, we attempt to lay a foundation on faith during the holiday so that we do not get lost in these fun trappings. We read a scripture a day in our Advent calendar, we light the Advent candles in our Advent wreath every Sunday and we have a family devotion. We strive not to let the outside world sweep us up in stories and myth and rather stay grounded in the truth. You might also like the following blog articles I have written on keeping Christ in the Christmas Season.